What’s black and white and probably piling up in your recycling bin? 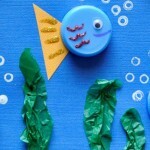 Eco-friendly, inexpensive crafting supplies is the answer! Maybe you still get the newspaper daily or have cut back to just Sunday so you can take advantage of all of the coupons, no matter how often you receive it they seem to multiply quickly. 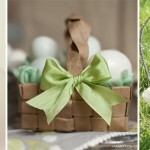 Instead of putting them out with the recycling, save some aside to create inexpensive paper crafts and DIY gifts. Even if you don’t subscribe to your local newspaper anymore, you can still create any of these projects using old book pages, catalogs, and maps. Paper crafting supplies magically appear in your mailbox daily in the form of junk mail! The neutral colors and soft texture of newspaper creates projects with an elegant, vintage feel to them. 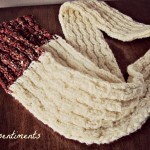 Add a little ink or paint for a distressed look or add a pop of color by adding in patterned papers from your stash. From embellishments, gifts, and home decor ideas, these 10 paper craft ideas will have you looking at your recycling bin in a whole new way! 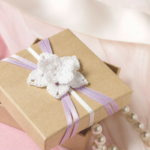 Gift Wrap Newspaper Flower: Embellish a gift with this beautiful, handmade paper flower. Newspaper Leaves: With fall quickly approaching, these up cycled paper leaves would be the perfect addition to your seasonal decorating. Newspaper Wedding Bouquet: A beautiful bouquet for the eco-freindly bride. 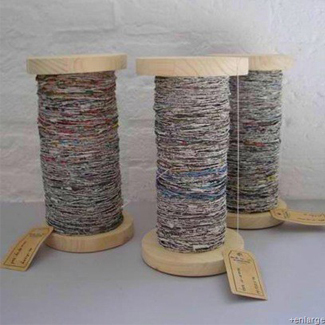 Newspaper Yarn: That’s right…yarn made from newspaper! 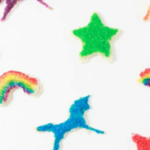 With a few simple supplies, paper crafters can bring out their inner fiber artist. 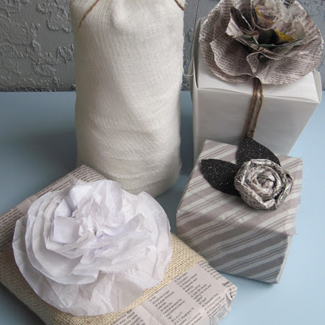 Recycled Newspaper Envelopes: Never use a boring, white envelope again. Personalize your letters and handmade cards with these envelopes created from recycled newspaper. Newspaper Garland: I admit that I may have a garland addiction! These sweet garlands created with newspaper would be so pretty hanging with little white twinkle lights. 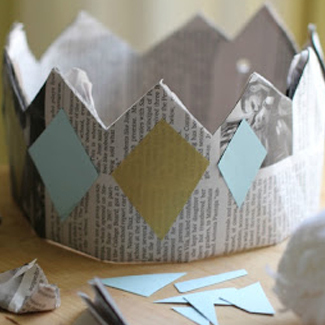 DIY Newspaper Crowns: How cute would these newspaper crowns be as a photo prop?! Newspaper Ornaments: Everyone has that box (or 3!) of old ornaments that doesn’t make it onto the tree when decorating. Use this simple tutorial and make them tree-worthy again. Newspaper Gift Bags: Forgot to buy a gift bag for that last minute gift? 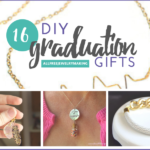 No worries, create one out of supplies from your recycling bin. Do you still subscribe to the newspaper? The newspaper crowns shown above are no longer shown on that site. It has all been overwritten in an asian language and contains unrelated content. 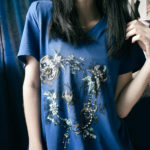 Since the URL you give and the URL of the site are the same, I believe the site was hijacked, but cannot say when.